Your choice of stripey fun! Love a good stripe? We do. 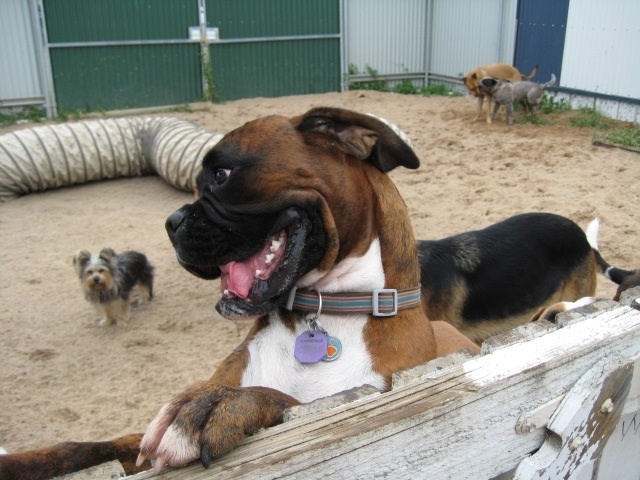 And Fuzzyard has two great styles to choose from. 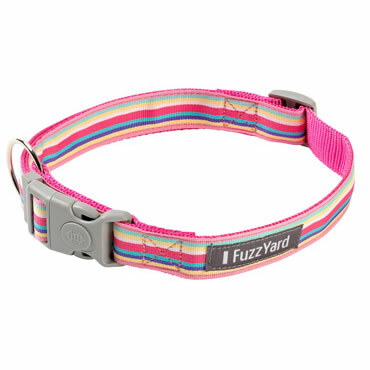 The Fuzzyard Cotton Candy Dog Collar has a delicious combination of musky pinks and blues, finished off with some neutrals. 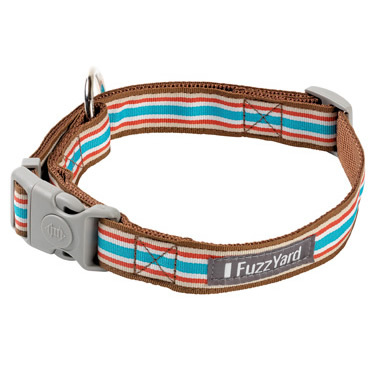 The Fuzzyard Fletch Dog Collar is on a brown base and features red, white and blue! 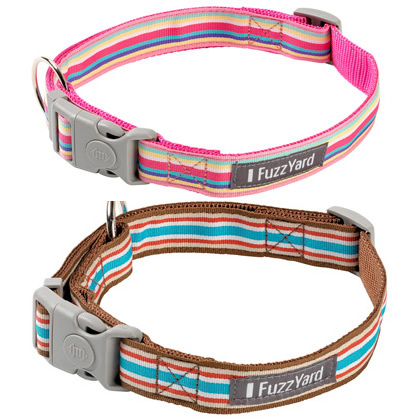 FuzzYard Collars are constructed from robust webbing, stainless steel and high-quality plastic. 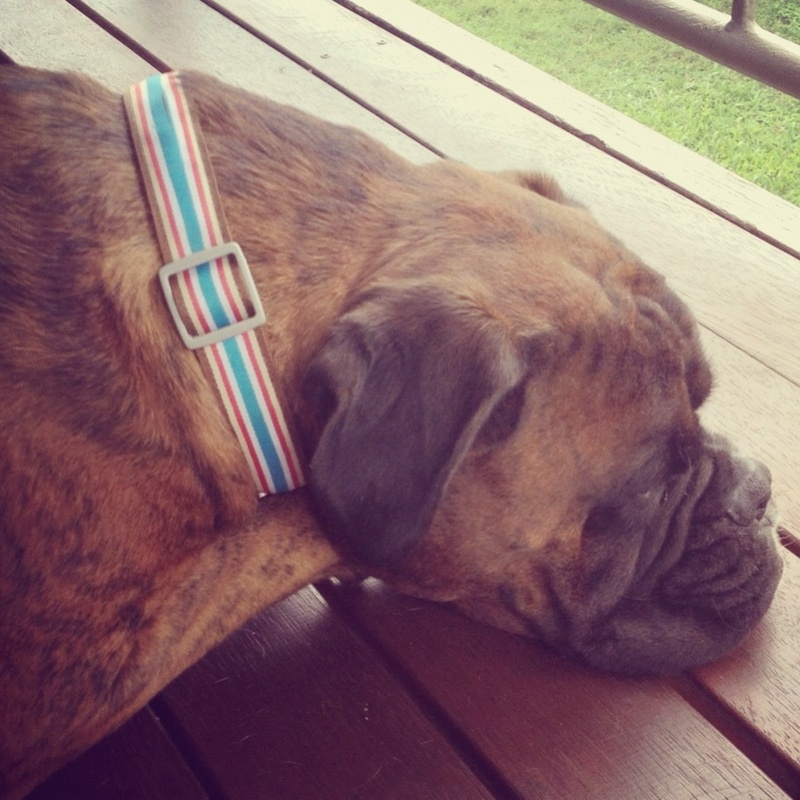 Read 1 customer review of FuzzYard Dog Collars Stripe. The average customer rating is 5. I had already purchased one of these Fuzz Yard collars for my first dog & was so happy with it's fit & quality that when we adopted our new dog I had to get him one he loves it as well. 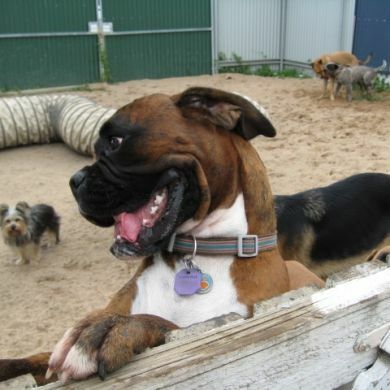 They look very proud when there out walking together.